Would you like... a room with a view? With the plethora of hotels (not to mention B&Bs, apartments, and hostels!) in Italy, the process of booking your bed for the night can be more overwhelming than deciding which destinations to visit! Luckily, we’re here to help. Through years of trial and error, we’ve figured out some of the top qualities that seem to make a hotel stay great. And while it’s “only” a room, take it from us: After a busy day of sightseeing, having a hotel that you’re happy to return to can make a good trip, great. Remember that old realtor’s phrase? Well, it’s the same for hotels. Where your hotel is doesn’t just determine how convenient it is for you to see all the sights—it also has a big impact on how you experience your destination. 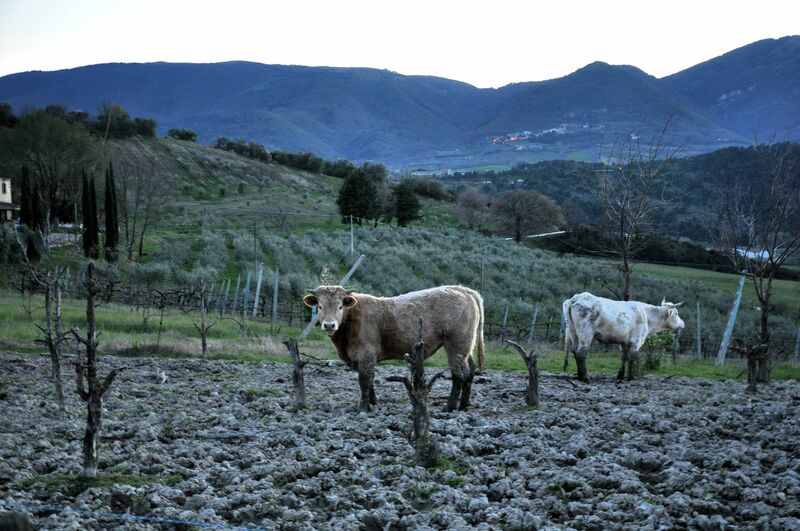 If you stay at an agriturismo, these guys might be your closest neighbors. 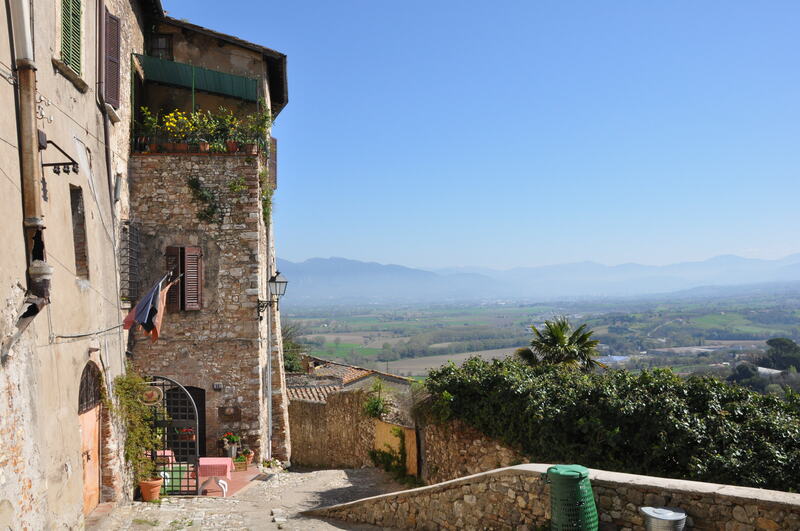 In the countryside, consider staying in a “farm stay,” or agriturismo. These fantastic options let you experience the local area almost like, well, a local—what we’re all about here at Walks of Italy. (We’ll write more about agriturismi in a later post). At an agriturismo, you want to have a scenic area to stroll around. For convenience’s sake, you also should be able to reach a bus, train station, or car rental facility fairly easily, either by the owner offering a lift or arranging a driver to do so at a reasonable cost (less than 25 euro). If you’ve already got a rental car, that’s obviously not a problem. 2. Hotels, B&Bs, and apartments—oh my! When is a “hotel” not a “hotel?” Well, when it’s a B&B or an apartment! For most destinations, we prefer these: Currently, they’re the best value in Italy’s often-expensive accommodation market. That said, B&B’s are not the steal they used to be (deals never seem to last for long! ), but they do offer the traveler a much greater chance of being taken care of and appreciated. You’re much more likely to meet the owner (or the staff—who are often family members) and to feel that they care how you’re doing. Apartments, though, may just be the best value in Italy, at least at the moment. In general, you can save 40% on an apartment over an equivalent hotel, with the same amount of space, in the same location. Apartments are mostly available in larger cities, and they generally require a 3-night minimum stay. So for stays of a week or more, they’re the way to go. And when you’re saving so much money, do you really need your sheets changed daily or to always have someone on speed-dial? (We’re guessing probably not). Having said that, many apartments do offer daily cleaning and additional services for reasonable extra fees. 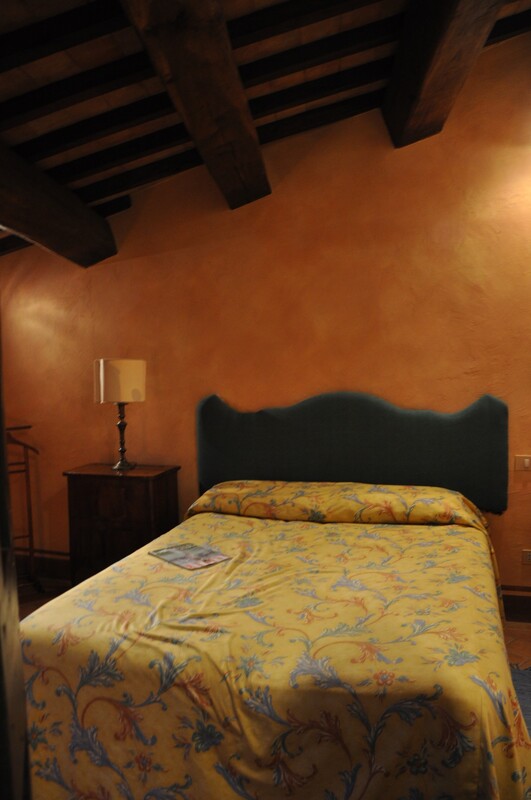 For countryside destinations, our favorite accommodation type are those fun agriturismi we talked about above. Generally from 30 to 50 euros per person, per night, you get real bang for the buck: A (usually pretty large) room, even in a standalone separate building, with a home-cooked, farm-grown dinner and breakfast included. Because these are run by families whose top priority is their farm—if they can get guests to stay there too, that’s just gravy—the owners tend to be every bit as friendly and eager to help as at the B&Bs. And there’s nothing like walking up in Tuscany to the crowing of roosters… then having eggs for breakfast that were laid that very morning! Location and type of accommodation are probably are two top criteria. Now, we’re starting to get into the details—but believe us when we say that nothing will make you feel happier in the morning than waking up to a fantastic view, whether it’s of the sunrise over Mt. Etna or the gorgeous dome of Florence’s Duomo. If we can see an historic building or a lively piazza from our window, we go for it, even if it means putting up with a little noise. (If you have trouble sleeping, maybe you won’t agree. Or bring earplugs. We’re especially fans of those wax Calmor ones, which you can get at any Italian pharmacy for about 5 euros). If you’d like a hotel in a picturesque area, but you’re not as concerned about whether you can see the scenery from your own room, then remember that most B&B’s and hotels have view-less rooms that are cheaper and sometimes quieter. And even if your room lacks a view, these lodgings usually provide access to a terrace or sitting area that does. If you’re in a room without a view, ask if you can get a room on the interior courtyard (if there is one), preferably that has chairs to sit and read a book. If the owners and/or staff are sincere and helpful, greeting you with genuine smiles each morning, you’ll feel, obviously, much more welcome and at ease. And that feeling of belonging helps start your day on the right foot, especially when you’re in a foreign country. Plus, this way you can interact with the locals more and get nice tips on current happenings or places to eat—always a bonus. It’s not the biggest room, but it IS in a castle. You win some, you lose some. 5. Is bigger always better? Sure, we’d all love a palatial suite, when we can get one. But often, a tastefully-done, clean, small room will do just as well. It’s not as if you need to find a place for your entire wardrobe and 20 different pairs of shoes… we hope. Americans, in particular, are advised to leave our preconceptions of a “good” hotel room size at home. Believe us: A “big” room in Italy—or Europe, for that matter—would be a small- to medium-sized room in the U.S. Also, size depends very much on the city. Rome and Venice in particular have smallish offerings, while Florence’s rooms tend to be a bit bigger. Aim for clean and comfortable, not huge. Another way to adjust your thinking is when it comes to breakfast. Big, continental buffets are the norm at American hotels. Not so here. Many Italians don’t even eat breakfast—and at the most, have a cornetto and a coffee—so it’s simply not usual. If you’re trying to learn to do it like a local, just grab something light outside your hotel to start off your day. It’s nice to feel like you have someone at your beck and call, but it’s actually not that necessary in Italy. (If you have a simple question, like how to grab a taxi or where to find a train schedule, anyone at the front desk, not just a concierge, could certainly help you). And it tends to come at a hefty price tag. In Asia, Africa, or Eastern Europe, where concierge service tends to be a better value, it is a bit more tempting. A common sight in Italian towns — so if these kinds of stairs are a no-go for you, make sure your hotel is handicapped-accessible in advance. This clearly depends on your personal needs. For some, though, having an elevator, a wheelchair-accessible lobby, or a handicapped-equipped shower is non-negotiable. Just remember that none of this is a given at Italian hotels, particularly at historic B&B’s and apartments. (In fact, these modern updates are often prohibited for reasons of historic preservation). So always ask to be sure. And if you’d like help, we do have our own wheelchair-accessible recommendations on hand by request. Just ask! 9. Lots of rooms, or few? Because we tend to like small places, with their homey atmospheres and friendly staff, we often recommend places with limited rooms. So if you take one of our recommendations, remember: Book as far in advance as possible. Also, a hotel’s rooms tend to range in size, style and quality, so we’ll note the best rooms whenever we can. Again, be aware that these rooms will fill up farther in advance. 10. The big picture: Overall value! You want to leave your hotel feeling like what you paid was worth it and you wouldn’t have wanted to stay anywhere else. If you would return to the same area and stay in the same lodging again, then you know you chose the right place! If you’re interested in some of our specific recommendations, contact us at info@walksofitaly.com, or at www.walksofitaly.com. Happy travels! Next articleWhen Is the Best Time to Come to Italy… For My Tastebuds? I think you are right but also you consider previous guest reviews after that you decide to stay. These are great tips! I particularly enjoyed #5, and I agree that bigger isn’t always better. (You’re looking for a room to sleep in while you travel, not a new apartment! A small room will often be more than enough.) 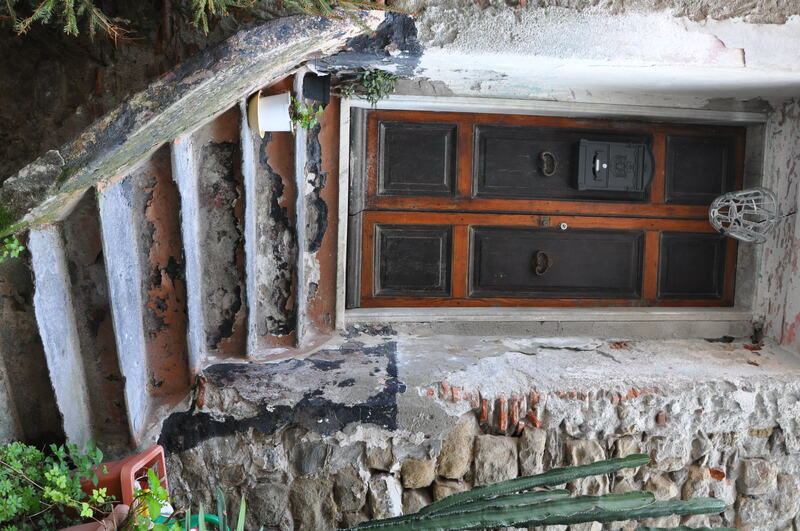 This article will definitely be useful for anyone looking for somewhere to stay in Italy! I agree that the location of a hotel is really important. It would be good to find somewhere near the attractions you want to visit. My sister is planning a vacation, so she’ll have to consider the hotel as well.